A "stressed" father shook his three-month-old son so hard he broke his legs and caused him permanent brain damage. The 26-year-old man has been jailed for three years and four months for the vicious attack. 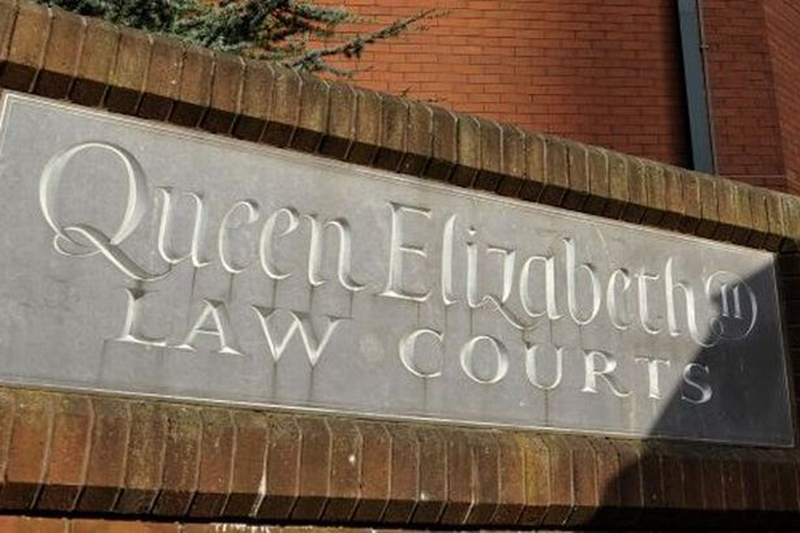 The defendant had previously admitted causing a child to suffer serious physical harm during proceedings at Birmingham Crown Court. His former wife, 24, who had admitted allowing a child to suffer serious physical harm, was sentenced to 16 months suspended for two years. Both the mother and father cannot be named for legal reasons. Judge James Burbidge QC said: "He was born prematurely so he was detained in hospital until the second week in February. "He was discharged into the care of both of you. You both had an overriding responsibility to ensure he was cared for. "By April 19, just three-and-a-half months of his short life, he had suffered a number of appalling injuries. "There is clear evidence the child had been shaken on more than one occasion." The judge said the injuries he suffered would have a "long-lasting effect, probably for life." He told the father: "To any parent, to any adult it is incomprehensible how you could so devastatingly abuse a child in this manner." However he said he accepted that the child's mother had been under the influence of her husband. Sharon Bahia, prosecuting at Birmingham Crown Court, said the female defendant had come to the UK on a student visa, met her husband in Birmingham and gave birth to the boy on January 1 last year. According to records the baby cried a lot and had difficulty feeding because of nasal problems. Miss Bahia said the couple were homeless and that the child had been taken to hospital on a number of occasions. X-rays revealed that the boy had suffered fractures to both his legs consistent with "forceful pulling or twisting or shaking." MRI and CT scans also showed bleeding on the baby's brain. Miss Bahia said the child, now aged 22 months, suffered from cerebral palsy, could only sit for short periods and would have to wear glasses and a hearing aid. Darron Whitehead, for the father, said "He and his partner married quickly and she fell pregnant quickly. Perhaps he was not ready." He said he had been having problems getting agency work and went on "He became stressed and tried to juggle both his son and the agency work and we know the consequences of that stress." Sharon Bailey, for the mother, said she had "shut her eyes to what had been obvious."